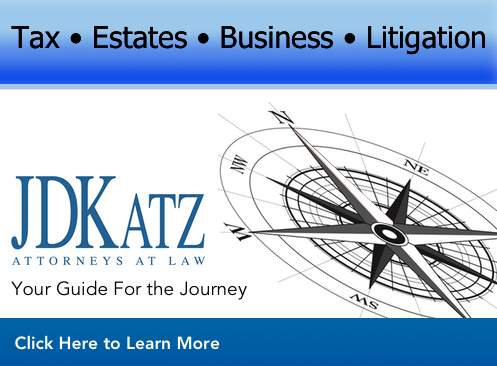 The official blog of JDKatz, P.C. Are Your Foreign Accounts IRS Compliant? 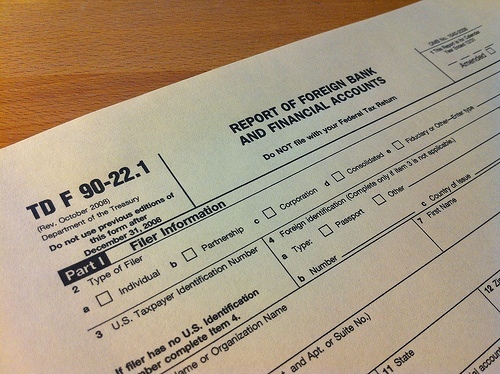 A Report of Foreign Bank and Financial Accounts (or “FBAR”) must be filed by “any United States person who has a financial interest in or signature authority or other authority over any financial account in a foreign country, if the aggregate value of these accounts exceeds $10,000 at any time during the calendar year.” (TD-F. 90-22.1). Qualifying foreign accounts can include bank accounts—saving, checking, certificate of deposit, insurance policies with a cash surrender value, securities accounts, certain pension funds, and mutual funds. The IRS is clear that individual stock certificates, art collections, jewelry and real property are not accounts. However, there are many gray areas that can be pitfalls for the unwary. An IRS workbook explains that the location and character of the account, not the nationality of the institution at which it is held, determines whether an account is foreign and must be reported. Thus, an account at a New York branch of a European-based bank need not be reported on an FBAR, but an account at a European branch of a New York-based bank usually must be reported on an FBAR. A “U.S. person” includes U.S. citizens or residents, including resident aliens, a domestic partnership, a domestic corporation, and a domestic estate or trust. A “resident” of the U.S. for tax purposes is defined differently under the federal immigration laws. Under the Internal Revenue Code (IRC), a foreign national is a resident for tax purposes if one of two tests is met: the “green card” test or the “substantial presence” test. Under the first test, any individual who holds a “green card,” or otherwise has been accorded at any time during the calendar year lawful permanent resident status under immigration law, is a resident for tax purposes. I.R.C. §7701(b)(1)(A). Under the second test, a foreign national who has been “substantially present” in the United States is a “resident” for tax purposes. This is generally determined without regard to visa or immigration status. The tax code defines “substantial presence” as: “an individual who has been physically present in the United States at least 31 days during the current year, and 183 days during the 3 year period that includes the current year and the 2 years immediately before” with applicable proration factors. IRC §7701(b)(3). This means that foreign nationals working in the U.S. in a myriad of non-immigrant visa statuses may be considered “residents” for federal income tax purposes including individuals on TN, E, H, L, O, P and R visas. Although “J” visa-holders may have exempt income, or prolonged exemption from the substantial presence test, the general rule is that non-resident aliens in the United States on a J- visa ordinarily become “residents” after their second year present in the United States. The failure to file an FBAR can result in both civil and criminal penalties. The civil penalties for non-willful FBAR reporting failure ranges from $500 to $10,000 per account per year. (31 U.S.C. § 5321(a)(5)). If a reporting failure is found to be willful, the penalties can be up to the greater of $100,000 or 50 percent of the total balance of the foreign account. (31 U.S.C. § 5314(a)(5)). For example, if you have $1 million in a foreign account which you willfully don’t report for a five year period, your total penalty could be $2.5 million! ​Starting in 2011, in addition to the FBAR reporting requirement, a Form 8938, Statement of Specified Foreign Financial Accounts, must be completed by “specified individuals” who include U.S. citizens, resident aliens, and certain non-resident aliens, that have an interest in a specified foreign financial asset and meet the reporting threshold. The specified foreign financial assets or SFFAs include any financial account held and maintained in a foreign financial institution, any stock or securities issued by a foreign person, and any interest in a financial entity held for investment and not held in a financial account. Any interest in a foreign social security or other similar benefit, earned abroad, is not an SFFA. In addition, any foreign stock or security traded on a U.S. exchange are not treated as SFFAs. The filing threshold for individuals depends on whether they live in the U.S. or abroad. If you are a U.S. citizen or resident living in the U.S. and are unmarried, you are required to file a Form 8938 if the total value of your financial assets is more than $50,000 on the last day of the tax year, or more than $75,000 at any time during the calendar year. Married taxpayers must file a Form 8938 if they have financial assets over $100,000 on the last day of the tax year, or more than $150,000 at any time during the tax year. The failure to file a required Form 8938 could result in both civil and criminal penalties. Civilly, you could be penalized up to $10,000 if you fail to file a required Form 8938. Once you are provided notice by the IRS, of a failure-to-file, you must correct the error within 90 days. After the 90 days, if you have not filed a required Form 8938 you may be subject an additional $10,000 penalty for each 30-day period you fail to file. The maximum penalty for not filing is $50,000. If you substantially or fraudulently underpay your tax as a result of not disclosing a given financial asset abroad, you may have to pay a penalty equivalent to 75% of that underpayment. 3. Are Your Foreign Accounts IRS Compliant? Since this may be the first time you are reading about IRS filing obligations for overseas accounts or income, there is bound to be confusion. In fact, several of our clients have had their taxes done by tax preparation professionals such as CPA’s for years, yet have never been advised to file anything with the IRS regarding their overseas accounts or income. If you have overseas assets, it is important that you consult with a professional to determine your reporting obligations. If you have questions regarding potential reporting obligations please contact our office. JDKatz, P.C. is a full-service law firm focused on tax law and estate planning. The attorneys at JDKatz have substantial experience in international tax issues and have represented numerous tax payers before the IRS often with great success. We are dedicated to minimizing your existing liability and risks while providing valuable tax planning to streamline your tax issues in the future. Please call us at 301-913-2948 to schedule an appointment to meet with one of our trusted attorneys.